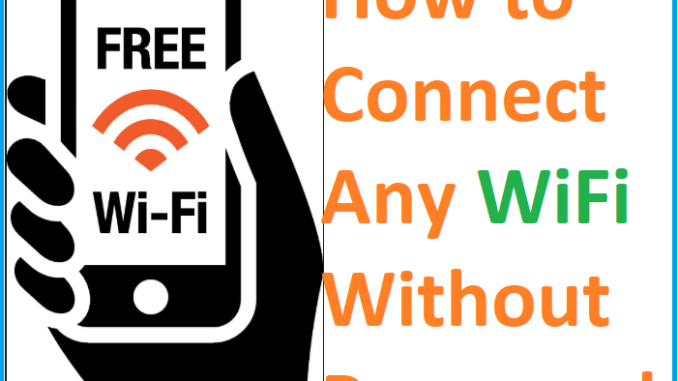 Are you forget your wifi password or you may want to connect any other wifi to your mobile without wifi password.check the simple steps to connect any wifi without using the password and get connected quickly. 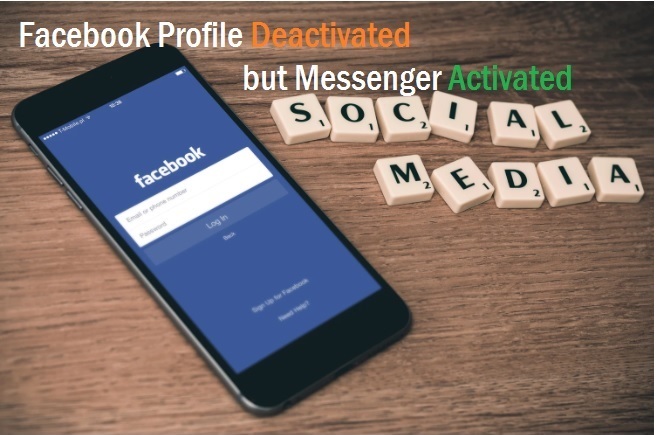 read more to know How to Connect WiFi without Password from mobile and desktop. How to Connect WiFi without Password from Mobile and PC? Its sound interesting when you see “how to connect any Wi-Fi without password”. First thing comes in mind use neighbor Wi-Fi if it’s possible to connect without the password. Previously already posted many articles related to Wi-Fi trick and tips for technology lovers. In this post will describe how can connect any Wi-Fi without using Wi-Fi password and without cracking the password. Here I will disclose the secrete How to Connect WiFi without Password from mobile. To connect Wi-Fi router you should go to near Wi-Fi router to make the setup for connecting your mobile to Wi-Fi without using the password. Connecting any Wi-Fi internet without password called WPS technology. read the full post to understand a way to connect wifi without the password. To know about WPS first understand the full form of WPS. WPS means Wi-Fi Protected Setup. WPS protocol allows you to connect the client to WiFi network faster and secured by using the PIN and physical button in WiFi routers. To use WPS feature in the router it should be enabled in the router. 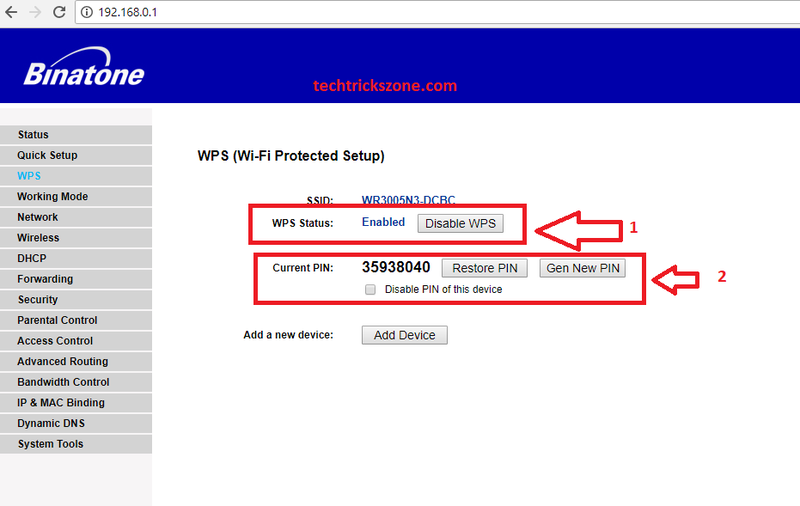 See below how to enable WPS pin and button in Wi-Fi router. This setup guide will support all major brand router such as TP-Link WFi, D-Link, Netgear, Tenda, Binatone, Xyxel, TOTO Link, Prolink, Netis, Ligo Wave, Cisco, Linksys, and many others. How to Enable WPS Pin and Button in Wi-Fi router. Mostly all Wi-fi router support WPS feature. 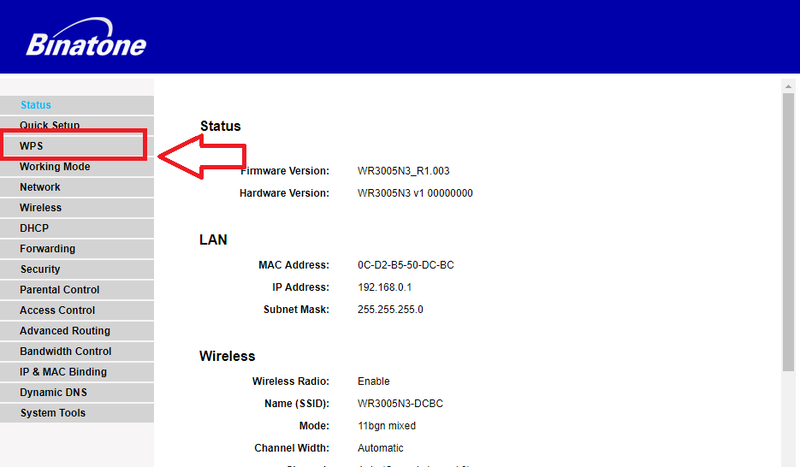 But you can check if your router has a physical button with WPS name than you can use WPS security protocol. To enable WPS settings you have to login Wi-Fi router go to WPS option in the setting menu to enable it. Mostly by default WPS enabled in all major brand as discussed above list. Here I am using Binatone WR3005N3 WiFi router to show how to enable WPS security. Login Your WiFi router with Default IP or you have changed IP Address. All the router don’t use same login credentials and IP address, they vary from manufacturer to manufacturer. For example Login details of Comcast router i.e. Username, Password and IP Address will be entirely different from that of Netgear and Linksys router. For more details, you can ask your ISP provider. After login go to left side settings menu WPS option. WPS security having two option to connect. One is the WPS button and second use PIN. Current Pin- Default pin will show here. How to Connect Wi-Fi With WPS Button fromMobile?? Now, this is the important steps where you can easily understand how to connect Wi-Fi with WPS button. Find the WPS button on your Wi-Fi router. you will get a small button with WPS/Reset back beside or besides the router. 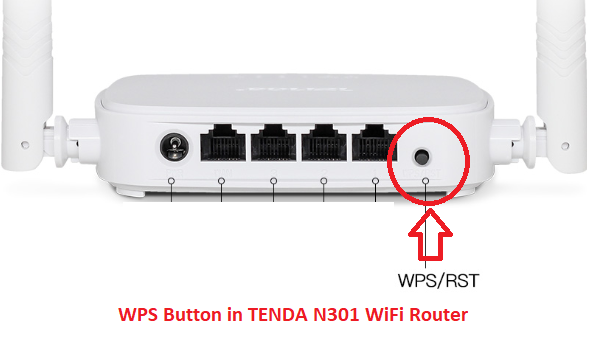 Tenda N301 300mbps router WPS button. Now open your mobile Wi-Fi setting and find the WPS button option. I am using Redmi Note 4G to test WPS button. 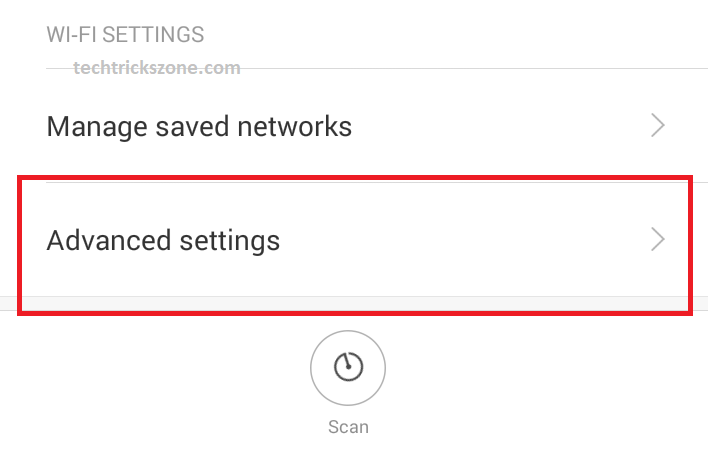 Move your settings and find Advance settings option inside WiFi. 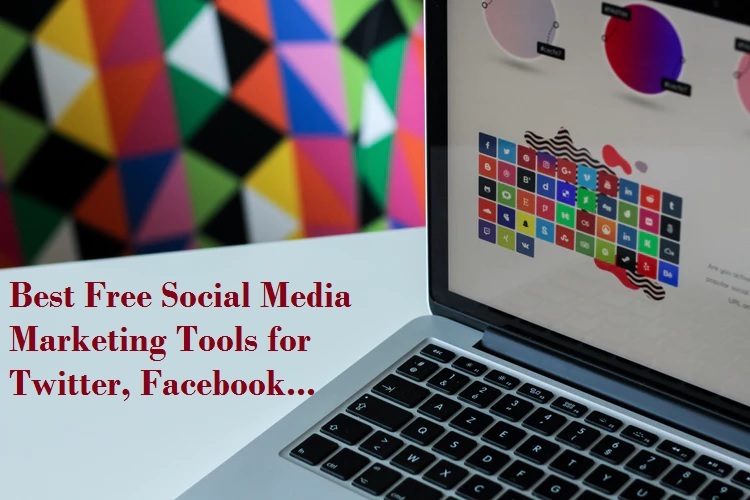 See the WPS option here. Wi-Fi WPS Push Button Setup for Wi-Fi connection from Mobile. Now Press WPS button in the Wi-Fi router. Don’t release WPS button until you get connection successful message as shown below image. Once you got Connected to Wi-Fi network message in screen then you can check your Wi-Fi connection should be connected to the internet and you can enjoy internet with connecting any Wi-Fi router without asking Wi-Fi password. Just follow simple steps to connect using WPS button and enjoy the protected Wi-Fi internet anywhere. Hope you happy and ready to try test How to Connect WiFi without Password from mobile without resetting and changing wifi password to other wifi routers.